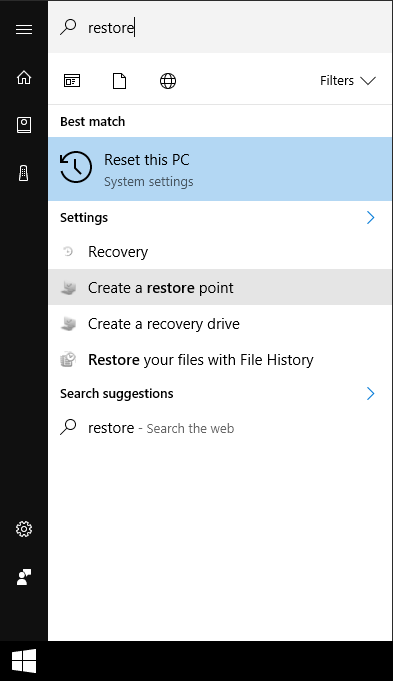 Before applying any custom theme, create a restore point. I recommend using Theme Signature Bypass in "files\patcher" as a theme patcher. Or try [Only registered and activated users can see links. ] instead. 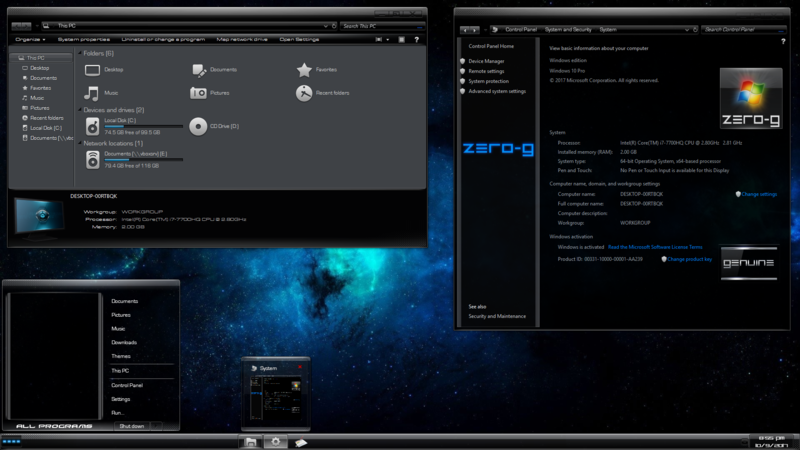 These themes rely on the correct settings of [Only registered and activated users can see links. ]. Install [Only registered and activated users can see links. ] 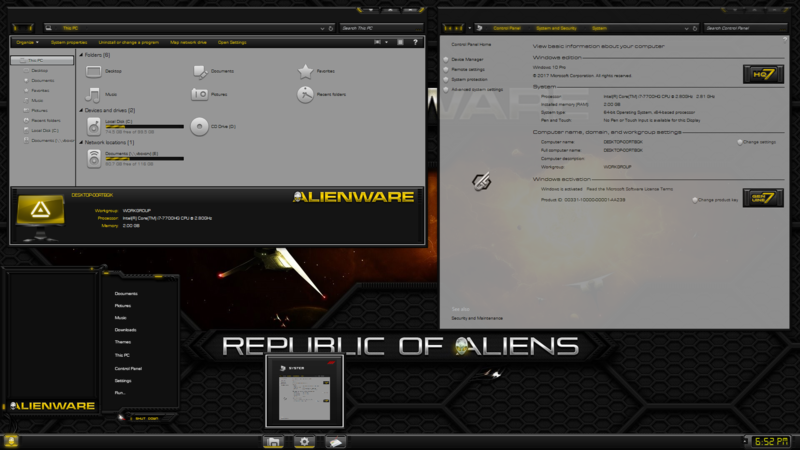 to skin the start menu and taskbar. Start orbs are in "files\orbs". 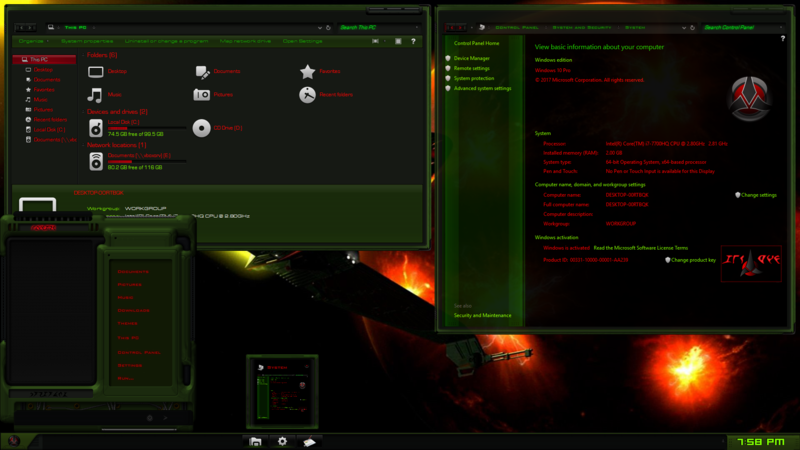 Select the theme's start menu and an orb in the StartIsBack++ configuration and click apply. The "files\orbs_downsized" directory contains start orbs modified to work with the small taskbar buttons setting. [Only registered and activated users can see links. ] is the application for tweaking the rest of your system. [Only registered and activated users can see links. ] can be used for additional window transparency. Install the fonts included in the "files\fonts" folder. Type ctrl+a then right click, click "install" with "no" and "do this for all current items" checked. Merge the registry tweaks in "files\rc_context_menu" so that it's possible to switch themes from the desktop right click menu. Merge a system metrics registry file in "files\system_metrics" so borders and fonts can be adjusted. I use the AltDrag app in "files\transparency_app" for mouse and keyboard shortcuts and window transparency. Logout or reboot your pc at some point. Cut/paste the contents of "themes" into your themes folder ("C:\Windows\Resources\Themes"). 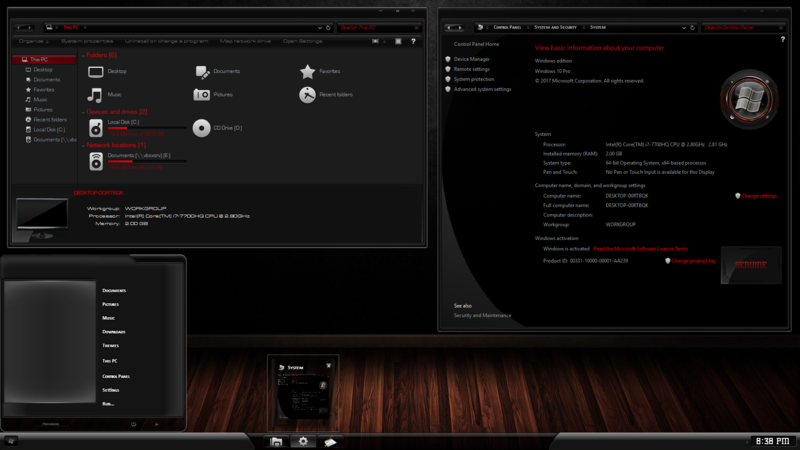 Apply a theme via "Control Panel -> Personalization" from the desktop rc menu "Personalize (classic) -> Theme Settings". Hey Shem ...... any reason why you didn't include the Chrononaut theme in this pack for RS5? Also, I am having a hard time porting Razorsedge themes, whenever I replace the the shell folder with the new one for RS5 when I test the theme I always get an error in the msstyle file. Do you know what is causing this? I don't have this issue on other themes. 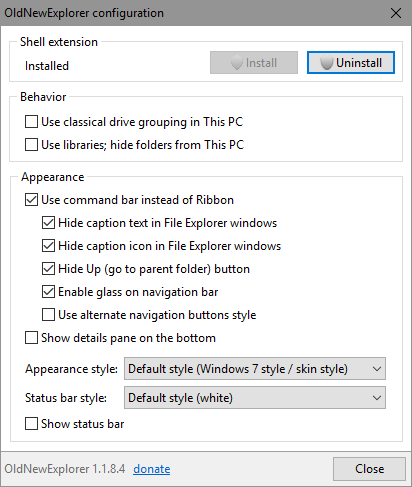 I have tried replacing the entire shell folder and also just the shellstyle.dll file and both return the same msstyle error. 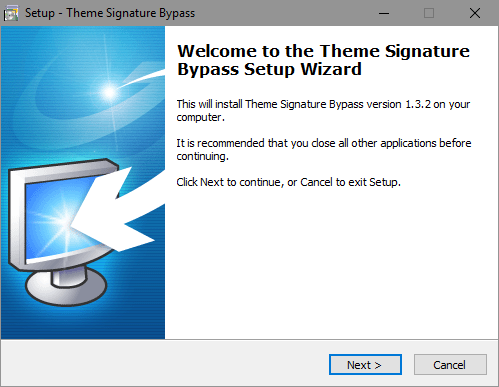 Hi, all the themes that weren't included in this theme pack but were in my previous RS complete collection were because of the shell error, I don't know what's causing the issue. 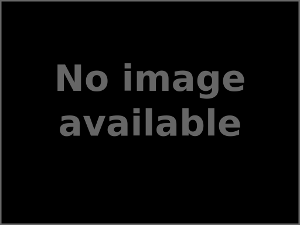 By றѳѳղղįqվદ® in forum Windows rumors and upcoming releases.